I am working with a customer who have a very large VDI estate with both Windows and Linux based VDI endpoints. As part of network planning and optimisation my customer are strategically looking to move to a trusted tag based or Differentiated Services Code Point (DSCP). Of course on Windows this pretty easy via Group Policy using policy based QoS and on Windows Embedded (WES) based VDI endpoints this is no different. The question has come up on how to QoS on Linux (TinyOS) and Mac based VDI endpoints. As you might or might not be adware as part of the Citrix HDX RealTime Optimization Pack there is a MediaEngine which runs on the local VDI to offload the audio/video processing from the server to the endpoint in order to optimise the media quality. Do note that the application sharing workload/traffic does remain in the virtual windows session on the Citrix server. Under this key, create three DWORD values: AudioTOS, VideoTOS, RtcpTOS. Set them to the desired value of the IP TOS byte. 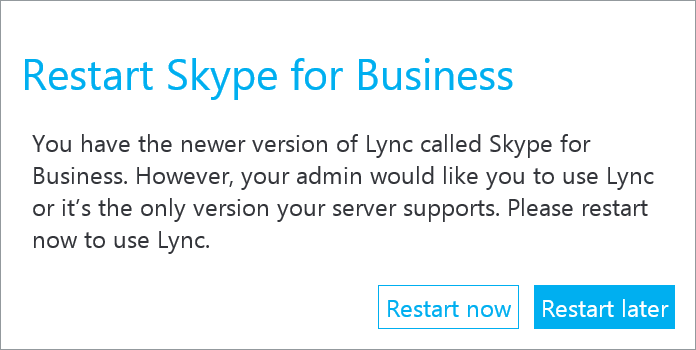 Restart Skype For Business. Note that registry settings control the full TOS byte, so if you want to use a particular DSCP value, multiply it by 4. RtcpTOS is applied to RTCP packets for both audio and video, the other values are applied to RTP packets for audio and video, respectively. What about QoS on Mac OS in generally I hear??? I have a fair idea how to get this to work too however it is not easy! I have been asked this question quite a few time now. As much as I believe (according to a few SQL administrations) it is best practice to match the server collation with the database collation for performance reasons for Lync you really don’t want to this. If you interested all the Lync Server 2013 databases use Latin1_General_BIN collation, this is a case sensitivity collation and if you happen to match the collation then you will probably run into issues with mirroring the archiving and monitoring databases as they their database naming is mixed case. Another common question in relation to federation, governance and control. 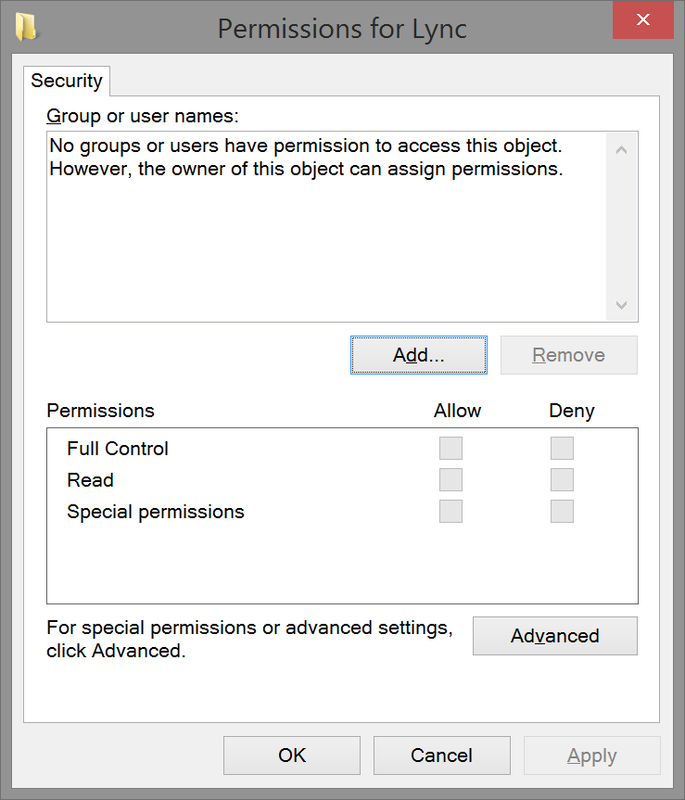 But yes you can protect federated users from taking screenshot of desktop share session content, however this area/capability is more Information Rights Management (IRM) in Office rather than Lync. With IRM in Office 2013 you can authenication and authorise access to sensitive documents. For example a word document could be protected so it can only be opened by specific users. Also it can be protect from being printed, or shared, also the content can be protected from copy and paste and screenshots. If a protected document is opened and then the screen or program is shared via Lync then it is just shown as blacked out at the other end. This is due to Lync 2013 honouring the IRM protection. However this behavior is only support on Windows 8 or later and not Windows 7 nor does it work with Lync 2010 and of course will need to deploy Information Rights Management (IRM). Disclaimer: Playing with the registry may result is serious injury or death for your PC so everything be careful out there! 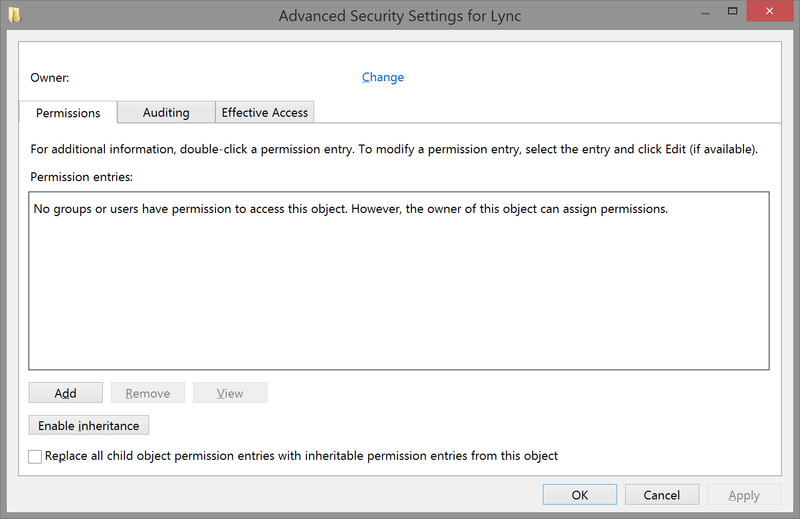 First you will need local administrator rights to do this and also have a read of my previous post #Lync Question 38: How do I control the Lync and Skype UI with the Skype for Business client regarding the registry keys. There are already a number of good blog articles on how to get Polycom provision server up and running to provision lots Polycom SIP phones. I would recommend Jeff Schertz blog article . However as I found, most focus on setting up a Polycom SIP phone using a standard Lync user (with a full AD account and password) and not a common area phone, which has just a AD contact object. Although you could just use an AD user account instead in some environment it is just easier just not have to justify why these accounts have non-expiring passwords. 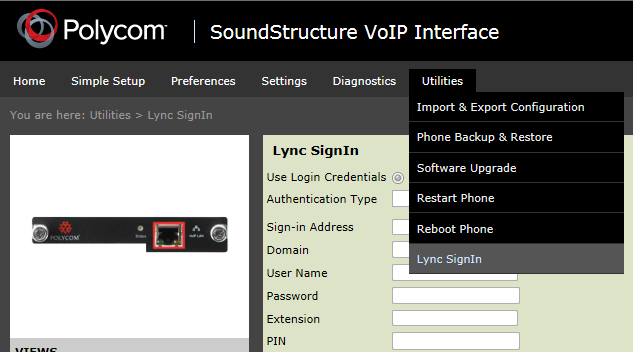 With the UCS 5.0.2 software it added support Lync PIN authentication and although with a Polycom VVX phone it is easy enough to manually logon the phone using the screen and keypad. As I found with a Polycom SoundStructure this isn’t so easy since there is no screen or keypad and especially since UCS 5.2.0 and later the phone’s (or VoIP Ccrd) web interface is disabled by default. Although it is easy enough to re-enable the web interface via some additional lines in the shared.cfg XML file on the provisioning server at which point you can log to VoIP card into Lync as a Common Area Phone (below). However when you have a large number of Polycom SoundStructure devices to configured or support then this quickly becomes impractical. Then you just need to reset the VVX/VoIP card for it just automatically logon. Disclaimer: The following blog post is subject to change as it is based on the pre-released version of the Skype for Business client. A number of the sounds that us and our users have become accustom to over the last few years have changed with the Skype for Business client. Most of the major sounds have changed. Such as the ringer, alert and invite sounds. I guess I could try and write a script/procedure to restore the old sounds. This is a something that comes from customer on most deployments now as the helpdesk, ,voice and network engineers cannot sadly do everything from the control panel. It is usually due to the need to create Common Area Phones or add Location Information Services Subnets or more increasingly the need to enable users for Hosted Voicemail due to using Exchange Online Unified Messaging. This might not be ideal in term of automation. I’m sure there are other ways too, but these two methods meet the majority of requirements with customers.